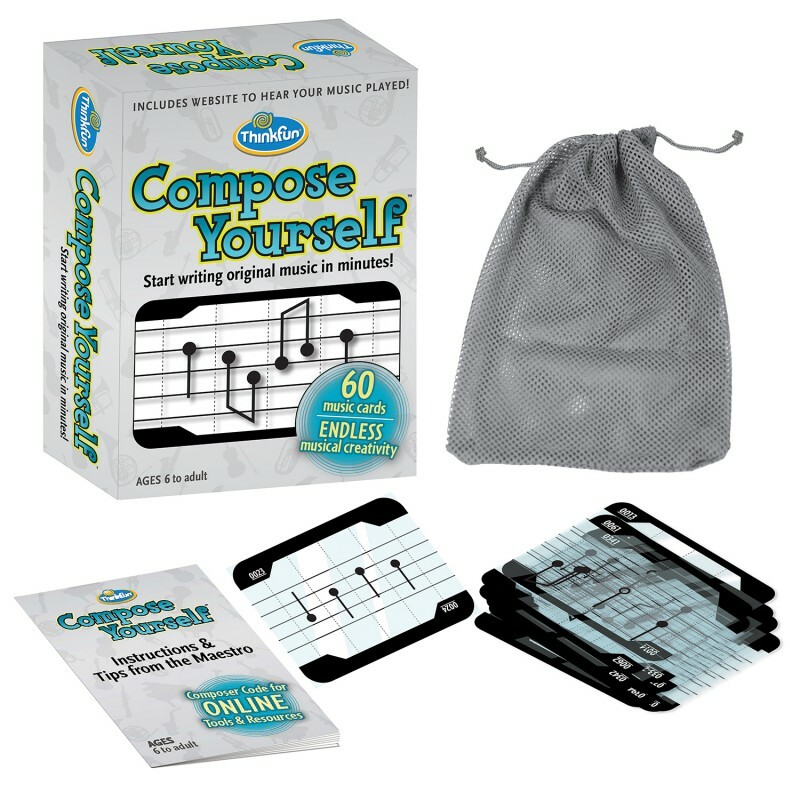 ThinkFun® Compose Yourself™, created by composer Philip Sheppard, is a revolution in musical games. It allows anyone to play with music and create a world-class composition. Use the provided cards to create a composition then hear your work played by a full symphony orchestra and Evelyn Glennie recorded at Abbey Road Studios using a special website. There are over 1 billion melodies you can create! Compose Yourself™ brings out the music in everyone, especially children with no musical experience, and builds new thinking skills such as creativity, expression and confidence. 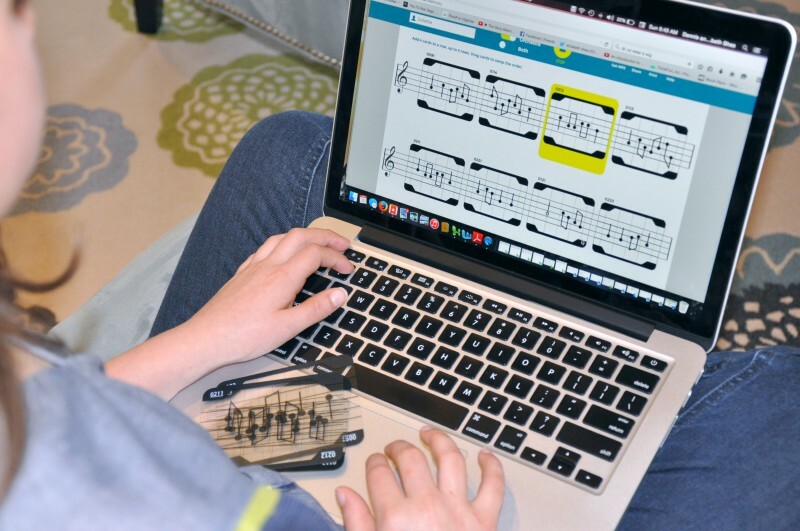 ThinkFun® Compose Yourself™, created by composer Philip Sheppard, is a revolution in musical games. It allows anyone to play with music and create a world-class composition. Arrange the provided cards in whatever pattern you choose, flipping them upside down or back-to-front as you please. Then enter each card’s unique code on a dedicated website and hear your piece played by a full symphony orchestra and Evelyn Glennie recorded at Abbey Road Studios. There are over 1 billion melodies you can create!